Are you the proud owner of a dog? Then the Designed by Lotte Tile - Dog something for you! 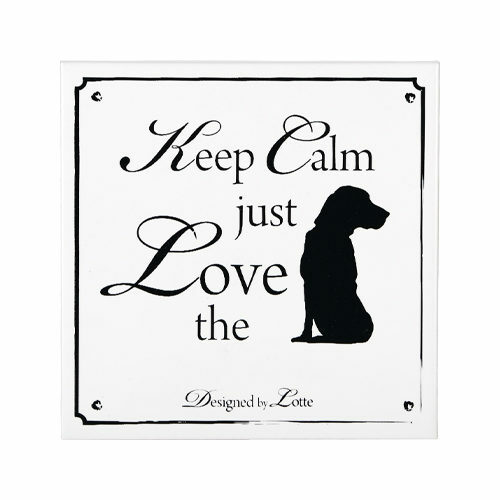 This beautiful white tile is made of ceramic and features the text 'Keep calm just love the dog'. As proud dog owner, the Tile - Dog of Designed by Lotte should not be missing in your home! The cheerful white tile is made of ceramic and looks beautiful in every imaginable interior. The tile has the text 'Keep calm just love the dog'. Have you used Designed by Lotte Tile - Dog before? Let us know what you think about this product.